You may wonder what reading and theme songs have in common. Children singing about cabbages and colors doesn’t seem to have a connection to learning about phonics... but songs can help create interest in many subjects. Songs can present new ideas in interesting and creative ways. Using music to convey information goes back to the earliest of times and recording of human history. We use our senses to absorb and respond to the world around us and hearing is a powerful member of the 5 senses. Songs, singing and music do a lot more than just broadcast information. In general, school music themes evoke emotion, share sounds, bonds singers and inspires creativity to name a few. Music is in all of our lives, it is taught in schools and that’s partly why many theme songs are so popular. Once upon a time, there were singing telegrams - important messages delivered in a song. Song was used in this special way to convey a thought and make it memorable. When someone sends you a singing telegram, it creates a bond between you and the sender – a special moment to be shared over time. Theme songs utilize the same principles. And here's the catch. Learning songs and music really helps those inspired, learn to read. And in school, little is more important than learning to read. It remains one of the biggest challenges in our educational system – children going through school and never learning to master reading skills. Using songs and singing in school to help teach reading is a natural match. We tend to think of theme songs as something only sung at football games and pep rallies. But actually with a little creativity you can play host to many songs that can be applied to every teaching purpose. Teachers might help determine classroom themes and use songs in their everyday instruction to supplement learning styles, emotional relevance and school spirit. This can make learning fun, captivate the students, make most material easier to use while bonding teachers and students. And songs can be used at any grade level – from preschool to high school and beyond. Using theme songs creates an emotional and adaptive learning atmosphere that everyone can enjoy. Using theme songs in the classroom can achieve several things. Theme songs can be used for so much more than just generating excitement at a sports event. As the teacher instructing in a sound-bite world, it becomes more difficult all the time to keep the interest of your children who are used to fast action and instantaneous results. 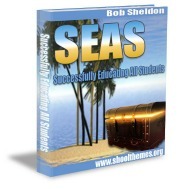 Using theme songs offers you an innovative way to bring classroom material to the top of student conversations. And you'll be a hit in the popularity and gossip clubs too. With the advent of electronic or computerized games, children have come to expect interaction. 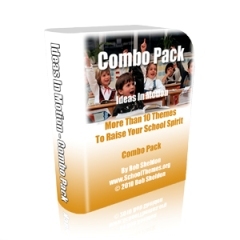 Using school theme songs enables teachers to bring interactive activity to the classroom. You can make it fun to sing, assist in teaching any subject matter and reinforce instruction of pre-prepared classroom material. Used at all grade levels, school theme songs can be the perfect way to add another dimension of creative instruction to the classroom experience. 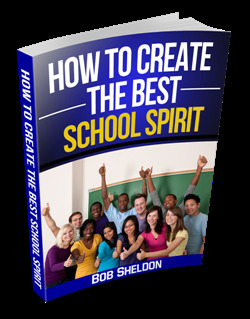 Leave School Theme Songs and Get Your School Theme!